This card had to sit a few days to percolate. I had a idea of how I wanted to use the Muse card, but it took a few tries until I was design happy. It also took some inspiration from a couple of other challenges as well. From Muse, I took the colored card base, and the partial fussy cutting as well as the scalloped card edge. From Inspired by Challenge, the lovely flowers and the color of the scarf inspired me. And as I used a die to cut my scalloped edge and my stamp is from Altenew, I am going to enter this to Die Cut Diva's anything goes as well. My sympathy cards have run out again...I only keep two on hand at a time as I double the design. 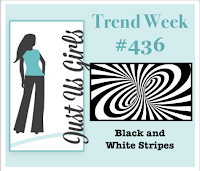 I prefer a muted card for condolences and my current favorite color combo is gray and white. This is an older Hero Arts set - With Sympathy. It has several sentiments and two flower stamps. 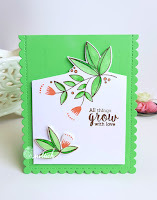 I was inspired to make this card by the theme of put a flower on it from A Blog Named Hero, the sketch from Case this Sketch. 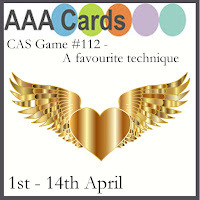 It is a CAS card and I am also entering it to Addicted to Stamps and More- CAS. Do you make sympathy cards as needed or do you keep them on hand? If you keep them on hand how many are in your stash? I often miss the Altenew Inspiration Challenge; and every time I kick myself. I love the photo and all the colors it has as well as textures. I was inspired to make my whole card front flowers as much as I adore coloring Altenew flowers. I went with a die cut this time. I used two of the die layers of the Layered Rose die and randomly glued them down. I filled in where needed and then cut my A2 sized card down to a 4 X 4.25 inch card. I wanted just a bit more length than width. I struggled a bit with the sentiment. I tried black with white, white with black, white on vellum and finally came up with the strip matching one of the die cut colors. I am also entering this to Simon's Wednesday Challenge Anything Goes. I've been mia with several home projects. They always take more time than anticipated. Tonight is my first time in the craft room to actually craft in more than a week. I had some cards posted in anticipation of not being able to get much done craft wise the last week or so. Where Creativity meets C9 has Spring for its theme; CAS Colours and Sketches have a cute sketch that inspired me, and The Card Concept had a beautiful graphic that also provided inspiration. The flower is from Concord and 9th, the sentiment is from Hero Arts. Are you tired of my Daisy cards yet? Sorry...but they just lend themselves so nicely to the bright zig coloring. These are the last three with the zigs for a while. Next time I play with them I'll be copic coloring. I am definitely in a mood to color. These flowers from Avery Elle were a blast to color. Lots of masking and then the whole arrangement was fussy cut. The sentiment is from PTI and cut from fun foam. The lattice die cut is also from PTI. 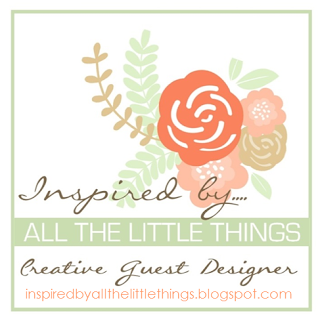 Today I am back with my second post as Guest Artist at Inspired by all the Little Things. Again thank you Darnell for the invitation. I was inspired by the blue lavender and pink frosting and how they blended into one another. If you look closely you'll see the gold cherries that also grabbed my attention. Come play along, the challenge is open until Friday May 4th. About a month ago, I sent Lauren Bergold of All the GOOD blog names were taken some die cuts and embossed panels. In return she sent me some musical and floral book pages. The papers are lush and the images are so pretty. I will definitely be incorporating them into cards. Here is my first go, the image has a wonderful background color and the daffodils are GORGEOUS. I made a very simple card by slightly mimicking the flutter of the petal cup edges with the scalloped edge of the card base. It's been sent off to Lauren as a thank you. 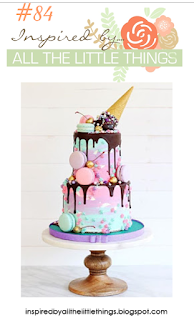 PS Checkout Lauren's blog - I love the art she creates. She draws and colors the most amazing mandalas and can layer papers and bits fabulously, I am always intrigued when I visit. Its time for another early morning card...or maybe a late night one. I see the Muse card Monday mornings and often times its late Sunday and I have no energy left for a card. The inspiration I took from Tracey's Muse card below included her darling bouquet of flowers popped up on the card front and her die cut sentiment. I used similar colors and zig markers as well. I didn't have a die for the DNami bouquet, but it fussy cut fairly easily. My sentiment die is from SSS. Thanks much for stopping in. A quick post...hubs is waiting on dinner. Inspiration came from the sketch at Freshly Made sketches, and the colors from Color Throwdown. The daisy is from Uniko, the sentiment from Hero Arts and the quilting from Lil Inker Designs. I am still playing with Uniko's Pure Florals -Gebera Clear stamp set. This time it is the bloom full on. I stamped and heat embossed with Rangers Liquid Platinum on Bristol, then colored with Zig markers. I cut it out with an MFT stitched arch die and added the sentiment from a SU set. A second arch was cut to make this a shaped one layer card. the card is small, but that bloom is fabulous. 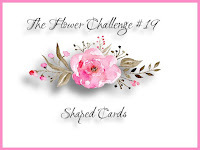 I am entering the card to Time Out Challenges - Spring, option One layer, and The flower Challenge - Shaped card. 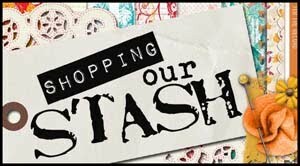 I gave up crafty shopping for lent, and during that time I was blessed with a few challenge wins that included crafty products. Along with several other prizes a stamp set of the winners choice was graciously provided by Bev of Uniko Studios (thank you! ), as a prize from their recent 6th birthday challenge. I fell in love with these Gerbera Daisies. I love that they come in such bold colors. I love coloring flowers, and one of my most favorite ways is to heat emboss and then add color with Zig Markers - the colors are bold and beautiful. I also rubbed a little distress glaze on the bloom after it was dry to protect it from renegade rain drops. This card is headed across the ocean.. I had a card win over at Words 2 Craft by for their February challenge. Along with a prize I was asked to be a Guest I-Teamer by Sybrina. I quickly accepted the offer! Thanks so much to all the team over at Words 2 Craft by. Ya all know I love the flower cards, and I have some darling flower stamps. It was just a matter of choosing! I chose Simon's Cosmo Background. I left 5 blooms with only the centers colored to keep the card a bit lighter. Come on over and join in, you have until May 2, 2018 11:59pm EDT. I'd love to see you in the gallery! Temps are starting to move into the higher digits here...we may open windows tomorrow! I have wanted this stamp set for a while now, and thanks to a lucky win, it and the matching dies are in my stash. Every time I see the sentiment it takes me back to my teen years, and trips to the beach with my girlfriends and my Mom. She'd tell us were the cute guys were after taking walks along the beach. On one trip an entire bag of doritos was stolen by some rowdy gulls. They walked up in a group, one to distract us, I am sure, while the other two pecked at the rapidly disintegrating bag and tried to fly off with it...I'm not sure who won the tug of war between the gulls I just know I laughed and laughed that day. I am entering this in two challenges. Case this sketch-266, and Shopping our Stash - Headed to the Beach. All stamps and dies are from MFT. Memento Ink and Color It Art Markers were used for the birds and sentiment. A left over piece of glitter cardstock made for a sparklie ocean. I have no thank you cards left in my stash. I need to replenish quickly. The easiest way for me to do that is to break out the flower stamps. There are a couple of diecuts on this card and I am submitting it to Die Cut Diva's. This was the first time I stamped and colored over a stamped panel and I think it worked out well. I used SU watercolor background in soft vanilla for the color wash. I let it dry overnight, then I stamped the flowers from Avery Elle in Memento Tuxedo black over the panel and colored with copics (R02, 12, 22) I wanted a coral-like shade on the lilies. I diecut the painted panel with a stitched rectangle die from Simons and added an oval die cut frame from MFT to highlight the blooms. The sentiment was heat embossed in white on top of a copic colored strip of paper then fussy cut and placed just to the left of the blooms...because I left a smudge of ink there and it needed covering up! After the work of coloring no way was I tossing this out! 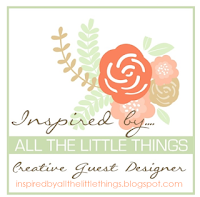 I was thrilled to be asked by Darnell to be a featured Creative Guest Artist over at Inspired by all the Little Things and I said yes immediately. I'll be guest designing twice this month. Thank you so very much Darnell. 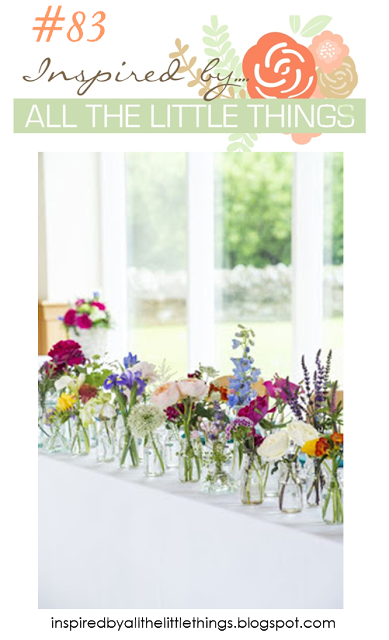 Ya all know I love the flowers and I was inspired by the line of blooms in the vibrant and soft colors. My card is simple, made with Hero Arts Tall Flowers stamp Copic colored with a few sequins added. The sentiment comes from MFT. 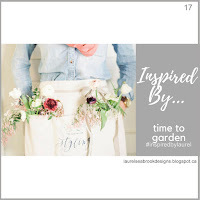 I am hoping you'll stop by Inspired by all the Little Things and play along; this challenge is open until April 20th. I am also entering this to Simon Says Stamp's Wednesday Challenge's 9th Birthday Challenge, and A blog named Hero -Use your favorite Hero Arts product. I have several poppy stamps and it was time for them to come out to celebrate California Poppy day - April 6th. When I lived in California, one year my Mom and I planted poppies in the yard we had them in red, yellow-orange and hot pink. So you'll know where my inspiration came from. My stamps are Hero Arts (red); Penny Black (yellow) Technique Tuesday (pink). All were colored with copic markers and stamped in SSS barely beige ink so I could get a no-line look.